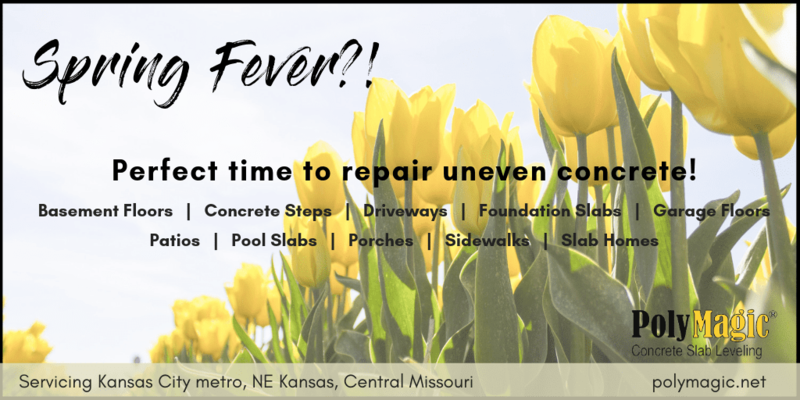 One way to reduce the risk of trip hazards on your property is to repair your uneven concrete spots around your sidewalks, driveways, garage approach, stairs, and slabs. This will not only reduce your safety hazards, but it will also enhance the aesthetic and resale value of your home. Need a reliable company around the Kansas City area that is experienced and offers exceptional customer service? Check out PolyMagic! We have over 40 5-star Google reviews and continue to travel around Kansas City neighbors offering an innovative procedure, polyjacking. Many KC residents know of a process called mudjacking, which is similar to polyjacking, but is less effective. Learn more here! 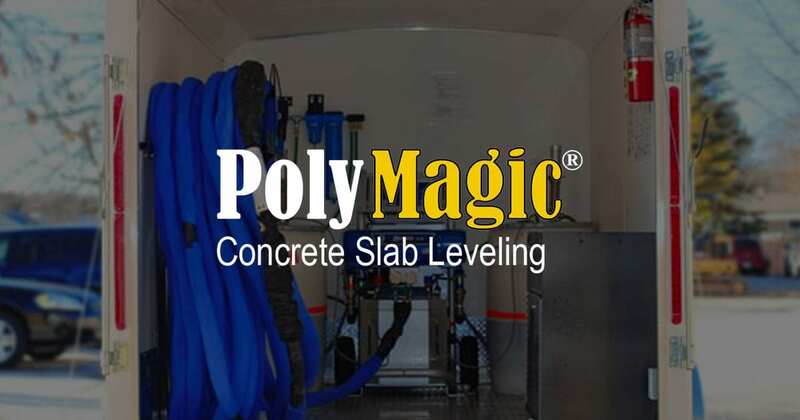 PolyMagic uses state of the art equipment to lift concrete using the best known method – expansive polyurethane foam, which is still interchanged with the term mudjacking. This innovative method is also referred to as polyjacking, poly leveling, or even poly foam, and requires the concrete slab to be raised by our expert team drilling holes through the top surface of the slab, then injecting high-density polyurethane foam into the holes to fill in voids and cracks. This is the most effective method of concrete lifting. One factor that stands out to our customers is our responsiveness, honesty, and experience in the concrete repair and lifting business. Get started on your quote today! Click here to begin! Hear it from our customers… we’ve had two 5 star reviews in the past 48 hours! “Great work. Very professional. They wasted no time and clean up was excellent,” said Mary Ann H.
“Jerry with PolyMagic was professional and courteous. He called prior to the scheduled appointment to let us know he was on the way, and he kept letting us know what he was doing throughout the process. We are happy with the results,” said Bree B. 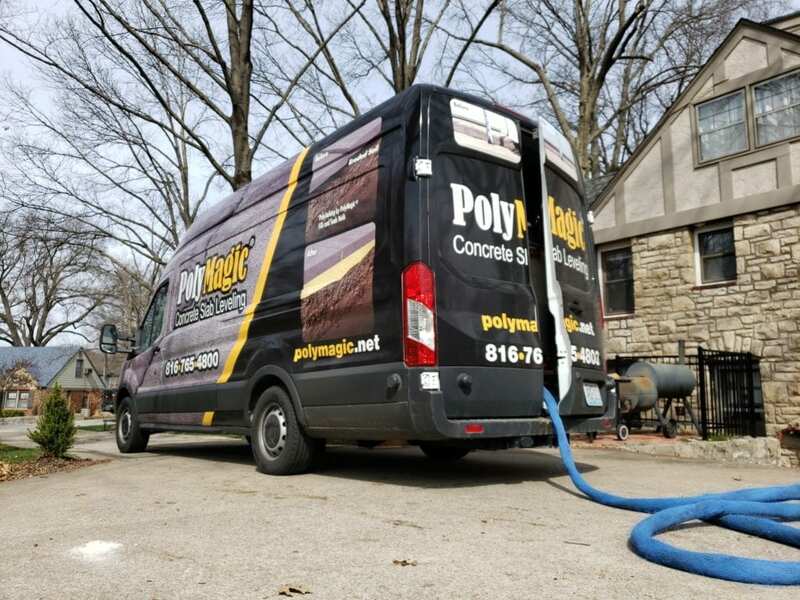 When searching for an experienced concrete repair company in the Kansas City area, consider PolyMagic’s efficient and innovative solution to repairing concrete stairs. 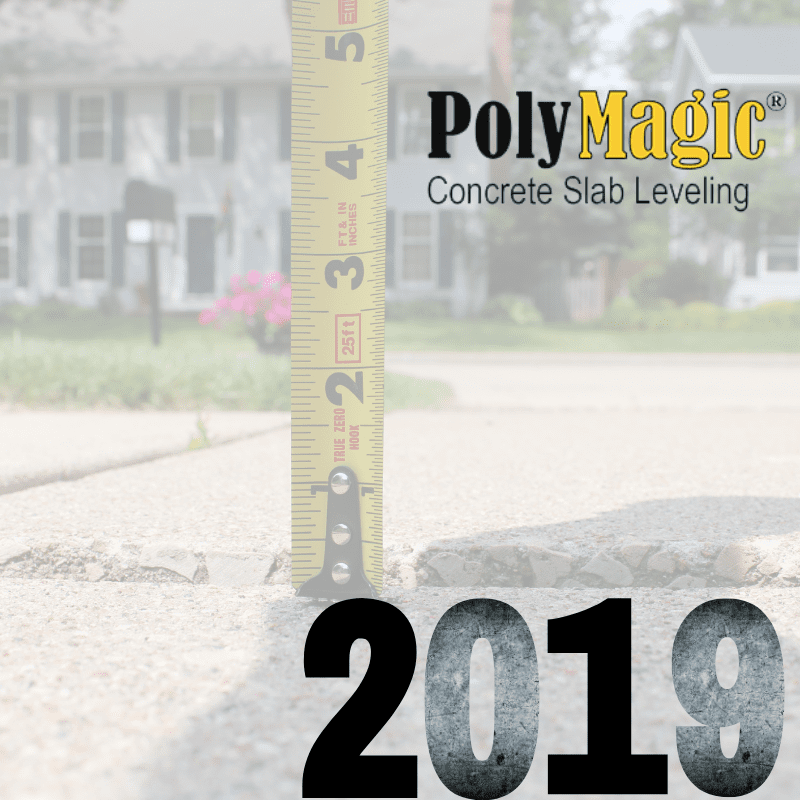 For over 50 years in the construction industry, PolyMagic has extensive experience with concrete repair on the following: patios, pool slabs, porches, sidewalks, slab homes, basement floors, concrete steps, driveways, foundation slabs, and garage floors. The below case study illustrates an example of a residence within the Kansas City area on solutions for repairing concrete stairs, which were causing a tripping hazard. Other mudjacking companies suggested the homeowner go with a complete concrete repair (quoting over $4,000) but PolyMagic suggested otherwise. 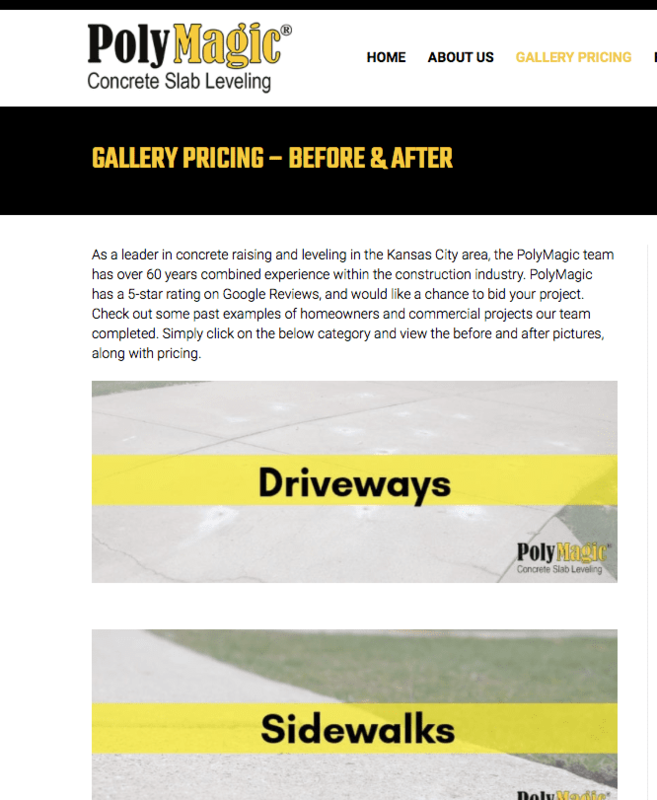 As the only company with the technology and experience to repair this concrete, PolyMagic completed polyjacking and leveling at the residence in only half a day, at just under $1,400. The finished product shows the stairs looking brand new, completely safe, and sturdy. Are you ready to get a quick quote on repairing concrete stairs, or other projects? Submit your information, upload a photo of the project, and we’ll be in touch ASAP!